H229. 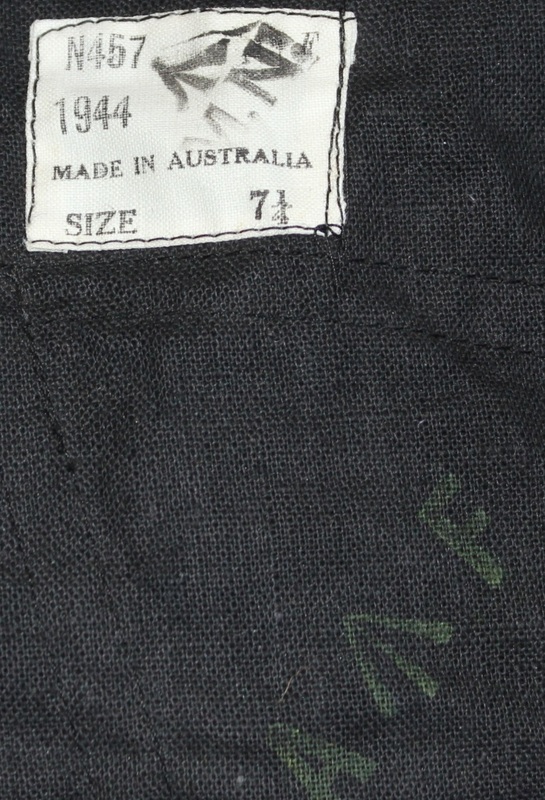 A dark blue woollen beret with a leather headband worn by 207562 John Joseph Joy who enlisted on 4 Aug 1935 at Bankstown and discharged on 4 Jan 1946 from No 18 Repair and Servicing Unit with the rank of Warrant Officer. 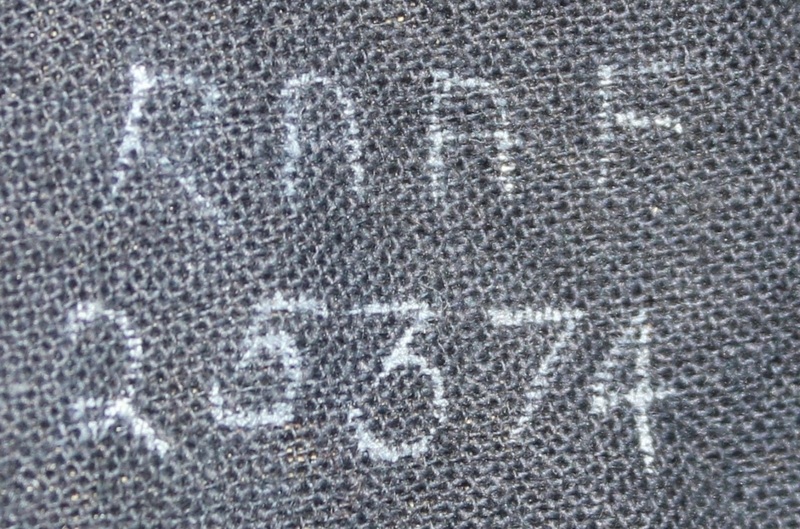 H377. 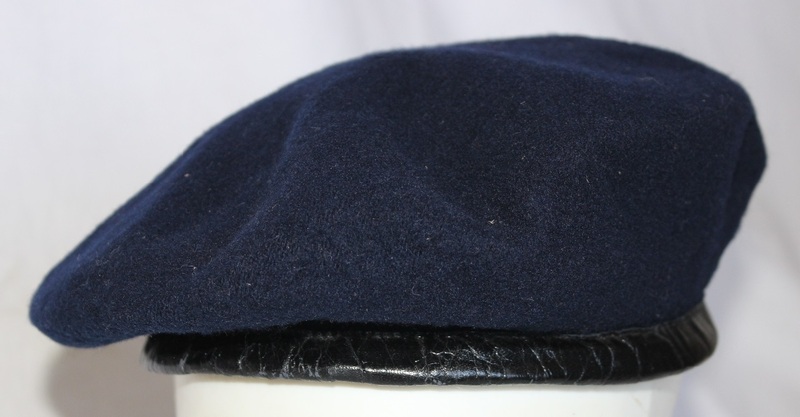 A dark blue woollen beret with a leather headband made by the Imperial Cap Co PTY LTD dated 1941 and worn by 9053 Ashley Robert Clyde Henderson who enlisted on 13 Feb 1940 at Laverton and discharged on 21 Nov 1945 from No 2 Flying Boat Repair Depot at Rathmines with the rank of Sergeant. H377. 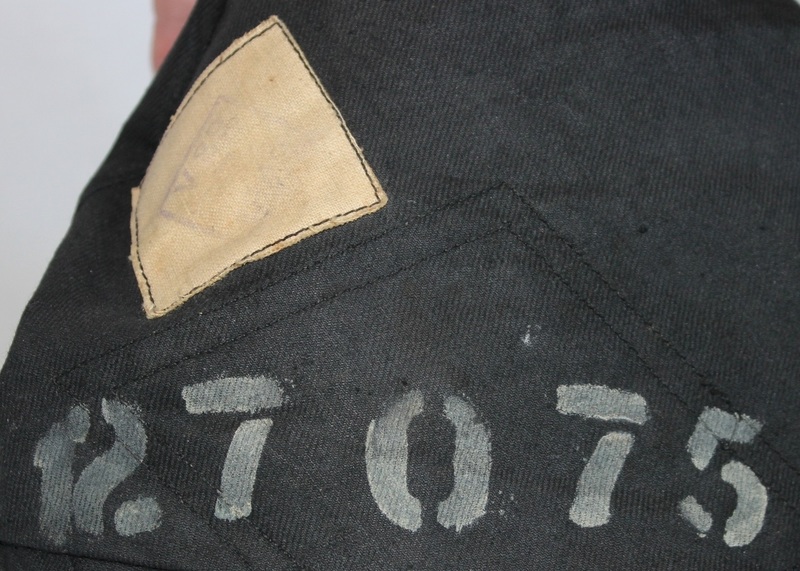 Number stencilled inside beret. 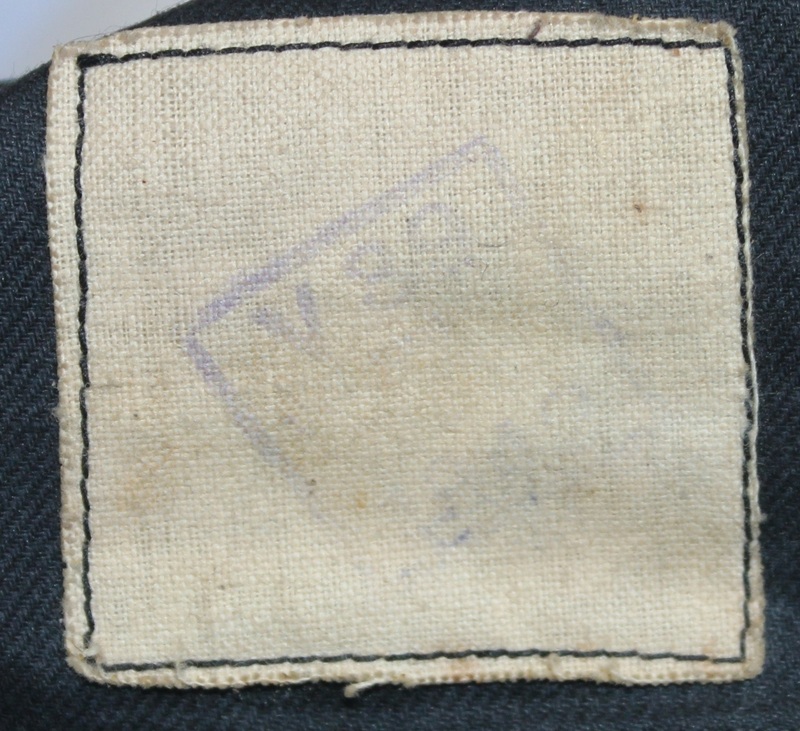 H418. 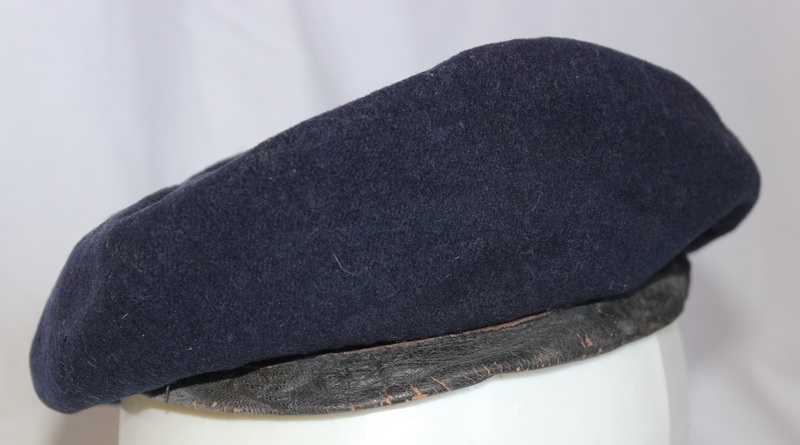 A dark blue woollen beret with a leather headband made by V39 and worn by 25374 Patrick Thomas McKenzie who enlisted on 27 Mar 1941 at Brisbane and discharged on 3 May 1966 from HQ Support Command with the rank of Warrant Officer. H418. 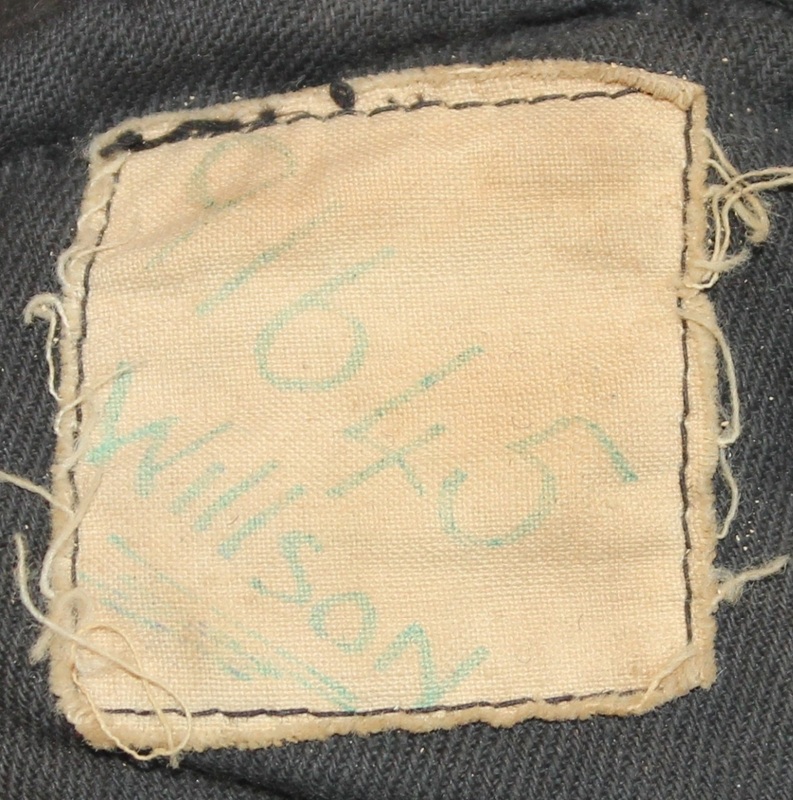 Number written inside beret. H423. 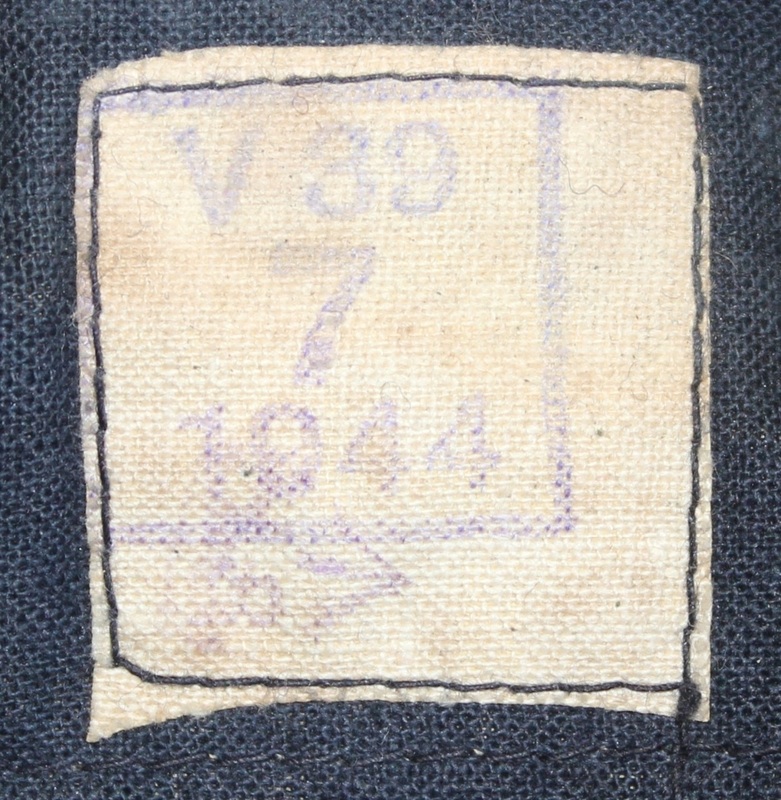 A dark blue woollen beret with a leather headband made by V39? 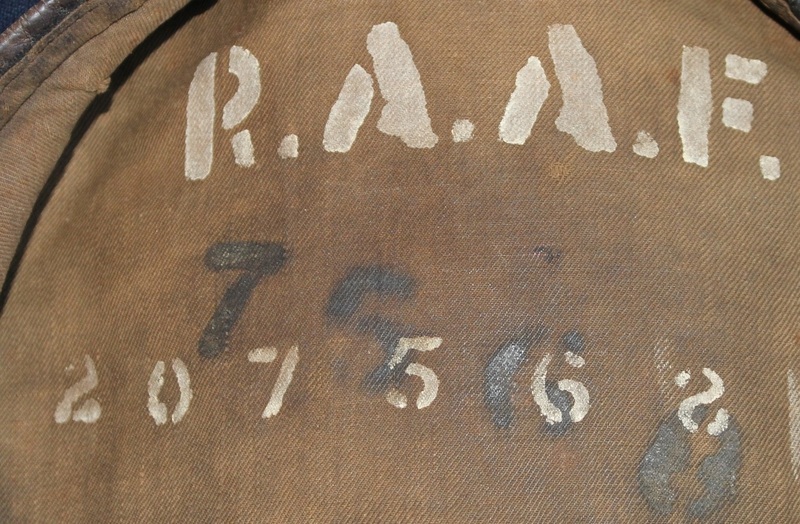 and worn by 127075 Eric Edward Worsley who enlisted on 18 Feb 1943 at Melbourne and discharged on 2 Mar 1945 from No 8 Mobile Works Squadron at Rathmines with the rank of Leading Aircraftsman. H423. 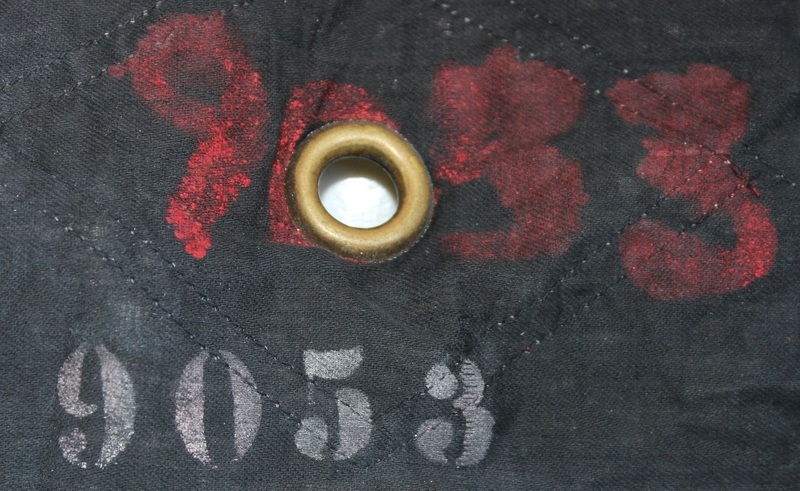 Number stencilled inside beret. H450. 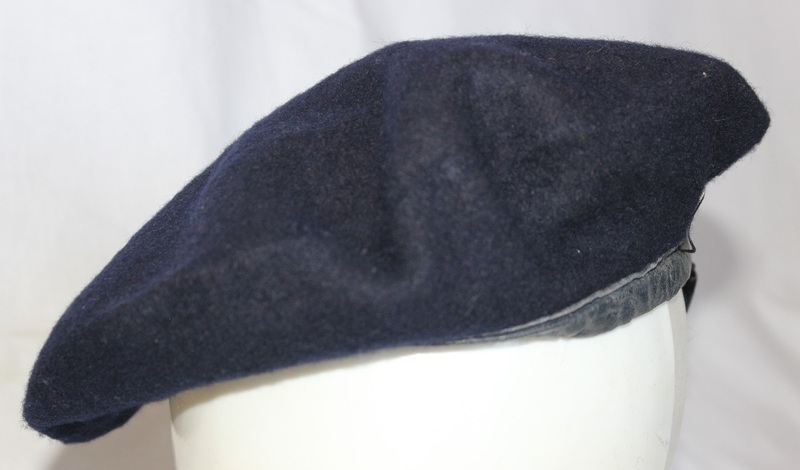 A dark blue woollen beret with a leather headband made by N457 and dated 1944, it is also stamped M↑N. H452. 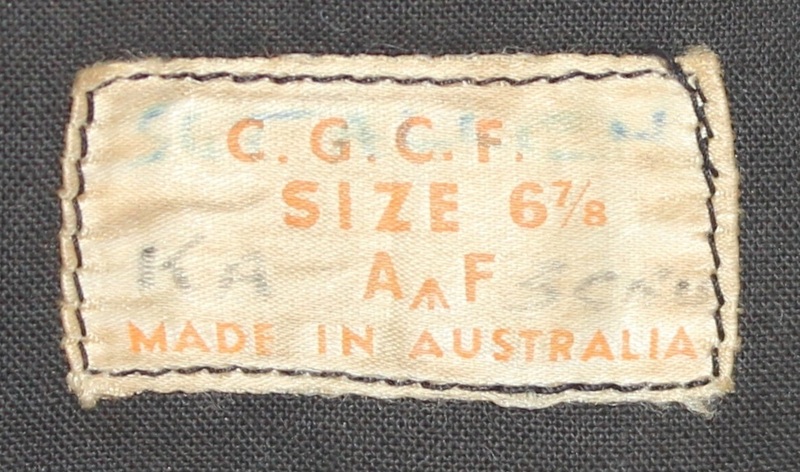 A dark blue woollen beret with a plastic headband made by the C. G. C. F. and named to Kerry Allen. H460. 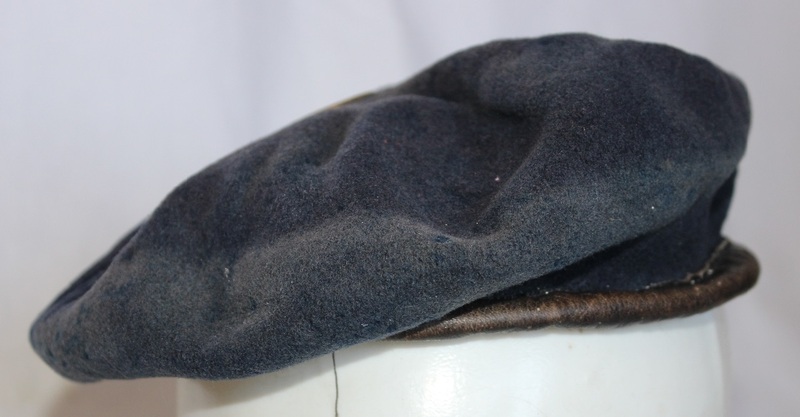 A dark blue woollen beret with a leather headband worn by 91645 Norma Florence Willson who enlisted on 29 Dec 1941 at Adelaide and discharged on 18 May 1943 from No 4 Embarkation Depot with the rank of Corporal.